There are many different plumbing problems that can spring up in the average home. Some plumbing problems are more common that others. Some of the most common plumbing problems are also quite easy to fix. Doing the repairs for these common plumbing problems yourself can save you hundreds of dollars. When someone complains about having low water pressure it is usually at the sink faucet. The first thing to check is if the low water pressure is affecting both the hot and cold water. If both the hot and cold have low pressure the most likely cause is the aerator. Calcium deposits slowly build up in the ​faucet aerator and reduce the water pressure. A blocked aerator is a very easy thing to fix. 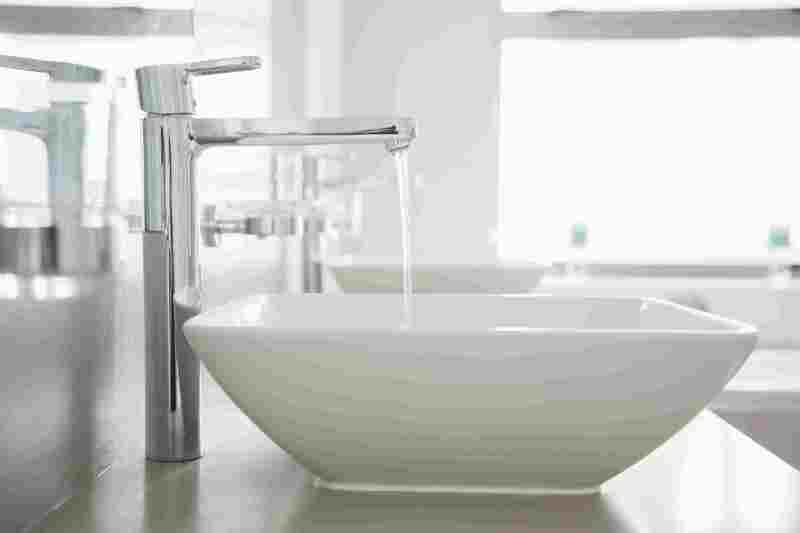 To clean out a faucet aerator carefully remove the aerator, clean out any debris and build up on it and put it back on. A sink that is draining slowly is a very common plumbing problem. Often the pop-up that is used to stop up the sink can collect a lot of hair and debris over time. To get the drain flowing smoothly again the debris needs to be cleaned out. One way to do this is to use the Zip-it, a handy plumbing tool, to clean out the drain. Another option is to remove the pop-up and clean it out. Most pop-ups are held in place with a nut attached to the drain just under the sink and can be unscrewed by hand or with pliers. Once the nut is removed the pop up can be cleaned and then reinstalled. A slow draining tub is another very common plumbing problem that can be easily fixed. Often the tub drain is full of hair which slows the water down as it drains out of the tub. Once again the Zip-it tool or a pair of needle nose pliers are great tools that can be used to reach in and clear out the debris in the drain. If there is a tub stopper in the drain you may have to remove the tub stopper before getting to the hair clog. It is a good idea to clear out the debris in the tub drain on a regular basis even if the tub is not draining slowly. If it is left too long it could end up clogging the drain completely. Another common plumbing problem that many people are familiar with is a running toilet. There are various things that can be causing the toilet to run but they are easy to fix. The first step is to figure out what is the cause of the running toilet. Once you know which of the working parts of the toilet is causing the problem you can replace it or repair it and stop the running water. A jammed garbage disposal is high on the list of common plumbing problems. Many people lose the nifty key that comes with the garbage disposal to help unjam it. Fortunately, an Allen wrench can be used to unjam a garbage disposal. At the very bottom of the disposal there is an opening to insert the key. Using a 1/4 inch Allen wrench simply turn in both directions to free the motor.